With that level of experience as an industry, I was curious to see what I could learn from PE about creating shareholder value. 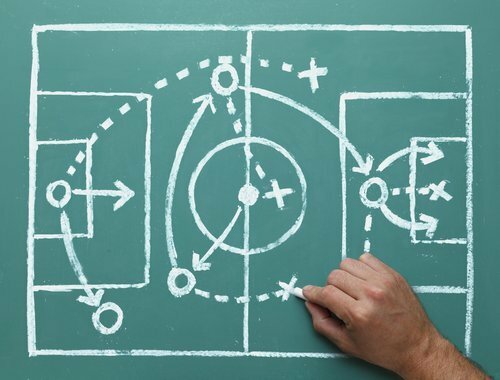 As I researched this topic and spoke with numerous PE firms, I observed that the development of private equity’s value-creating playbook could be summarized into 3 basic “plays.” Even more important and practical for those of us working in non-sponsor-backed businesses is that the evolutionary path of the PE playbook has a fundamental lesson to teach anyone charged with building a business and creating shareholder value. Let’s begin by tracing the development of the 3 plays. Going back to the 1980s, private equity firms learned to harness the power of financial engineering. This is most noticeable in the leveraged buyout (LBO), in which the cost of capital is greatly reduced through the use of large amounts of relatively cheap debt. As Henry Silverman, former COO of Apollo Management, once said in an interview, “If I have 10 cents, borrow 90 cents, buy your tie for a dollar, and sell it to Joe for $1.05, I didn’t make a nickel; I made a 50 percent return on my investment.” That is attractive math, but PE’s quest for value creation didn’t stop there. Furthermore, there are downsides to harnessing the power of financial leverage. It requires the willingness to live with the risk of being highly leveraged, along with the ability to secure extensive amounts of debt financing. When investors buy a business, they are buying the future cash flows the business will produce. The bigger the cash flow, and the more predictable and secure the cash flow is, the more someone will pay for the business. Understanding this framework leads us to our second value creating play, one that private equity has used deftly. In its most basic form, this is taking cost and expense out of the business to drive up EBITDA. Since the total enterprise value (TEV) of the business is based in large part on the free cash flow of the business, this cost-cutting will create owner value, if it doesn’t harm the business over the longer term. In its early days, this play was often run as across-the-board, indiscriminate cost cutting, which has been shown to harm the long term profitability and viability of most businesses. I call this the “peanut butter approach” because the cost cutting is spread evenly across the business, with all departments and functions being asked to reduce budgets by a fixed percentage. Thank God this play itself evolved. The first evolution within this play was from cost-cutting to operational excellence. Japanese companies honed these methods in the 1970s and 1980s. Since the 1990s, private equity firms have been using these same approaches – total quality management, six-sigma and lean – to create efficient and effective operations that drive savings to the bottom line and increase shareholder value. The second evolution within this play is the application of segmentation strategy to cost cutting by re-allocating investment in the business based on strategic priorities, with disproportional investment going to your company’s most differentiated capabilities. These first two plays – financial leverage and operational excellence — are often run during the first two years that a private equity firm owns a company. Private equity owners usually plan to own a company for 5-7 years, so they still have 3-5 more years to create value for themselves and their investors. As an industry, PE has discovered that they have a small window to run the third play. Maybe you do, too. The third play is perhaps the most powerful because it has a compounding effect on the value of your business, but it’s often underutilized because it’s difficult and it takes time. Financial engineering and operational efficiency are indeed powerful levers for creating shareholder value, but they also reach a point of diminishing returns. A long-term McKinsey study has shown that companies who achieve strong shareholder returns through operational efficiency – but without strong top-line growth – eventually hit a wall. You can only grow profit and cash flow through efficiency for a limited period of time. 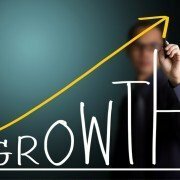 The real frontier for driving the enterprise value of your business is through well planned profitable growth. In fact, the same McKinsey study went on to show that revenue growth is strongly correlated with mid-term shareholder value, long-term shareholder value (10 years down the road), and corporate survival. In other words, this play can be run over and over again without running out of legs. What makes this play so powerful? It works because, in many cases, significant incremental revenue and gross margin can be gained through a relatively modest short-term investment in selling, general, and administrative expenses (SG&A), resulting in substantial operating profit and cash flow. This growth in cash flow provides a lucrative “double whammy”. As we discussed in the second play, EBITDA is multiplied by a factor to estimate Total Enterprise Value (TEV), so more EBITDA means more TEV. But profitable growth has a second, force-multiplier advantage. As you grow revenues and profit margins, investors are also willing to apply a higher multiple to your EBITDA. So the profitable growth play increases both EBITDA and the TEV-to-EBITDA multiple, providing a compounded advantage for companies able to execute it. Although this play is attractive due to its enduring and multiplied ability to create shareholder value, many investors and operating executives soon discover that it is a more complex play than financial leverage or operational efficiency. It also takes time – usually 18-36 months to see a strong return on your labor. Is it worth it? A recent study by ZS Associates and the Sales Management Association, which is the most comprehensive study I’m aware of on the topic, studied the full gamut of organic growth improvement efforts. Their study showed that systemic, integrated growth efforts typically provide incremental annual revenue of 9-30%. Based on my professional experience over the last 18 years, their findings ring true. I’ve seen even higher impact when certain conditions are present. 35 years of relentless value creation by private equity teaches us that none of us can leverage or cost-cut our way to shareholder returns – at least not long term. We must profitably grow our way there. That requires a carefully developed growth plan, and the time and commitment to execute it. So if you have operational efficiency under control and have a 2-3 year horizon to create shareholder value, run the profitable growth play.